Hok Sae Tueng is the name of an ancient pharmacy in Uthai Thani Although the exact date of construction is unknown, it is believed to date over 100 years. 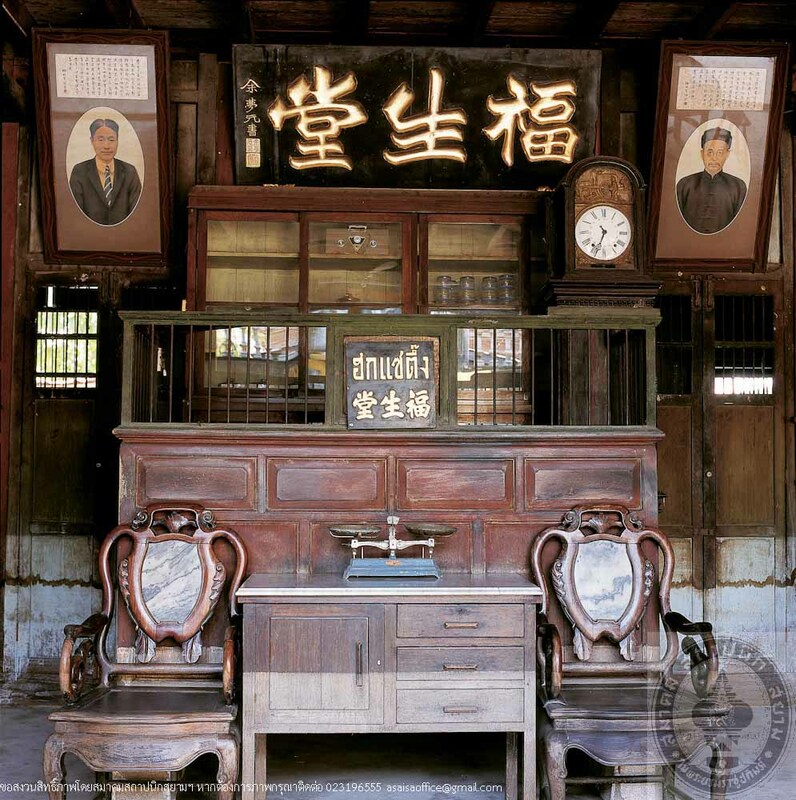 The history of Hok Sae Tueng involves the settlement of Chinese immigrants in Uthai Thani, on a plot of land which Hok Sae Tueng is currently located. 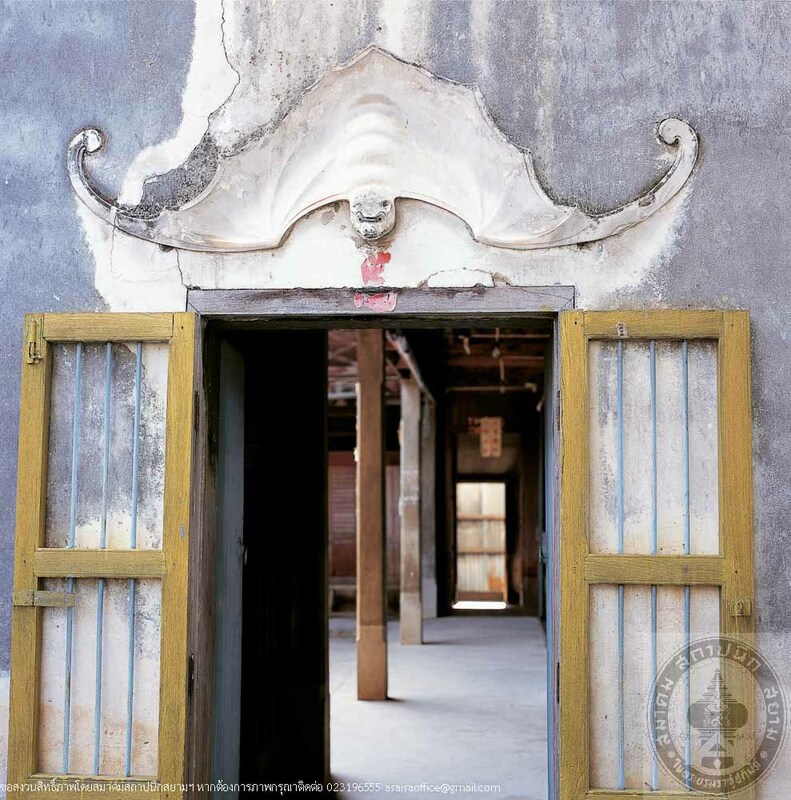 It was originally a Vegetarian House called “Leng Noei Yi”, established for religious purposes. When people came to worship Guan Yin and other gods at the vegetarian house, it was vital to have a pharmacy to serve the public .Hence was born “Hok Sae Tueng” a pharmacy which is appropriately named to mean “virtuous conception”. Hok Sae Tueng offer free medical services to the poor, provided accommodation and daily meals for Chinese immigrants who fled their home country due to drought. In return, the immigrants worked for the vegetarian house and the shop until they were employed or found more suitable occupations. During religious festivals, the Chinese in Uthai Thani would gather in the district and they have been now been familiarly known as the “Chinese Comunity of Sakaekrang River”. The architecture of Hok Sae Tueng is a mixture of Chinese and vernacular styles, featuringa 2-storey building of symmetrical plan surrounded by walls, a front garden, local terracotta tile roofs, and an open court in the centre. In front of the shop is is a signboard “HoK Sae Tueng” selling chinese medicine, western medicine, and various other types of Medicine. In the middle hall inside the shop hangs a sign “Hok Sae Tueng” above the medicine counter. The building and all its furniture are made of wood. 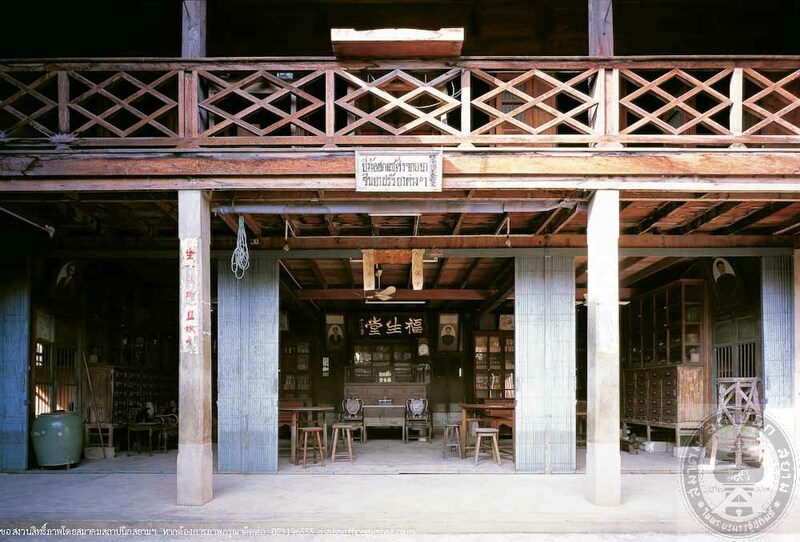 The middle hall on the ground floor is a pharmacy with cabinets and drawers for keeping medicine, a seating area for customers and guests as the shop was also recognized as meeting place for the Chinese in those days to come by for a talk have a cup of tea. From the middle hall, 2 staircases on left and right wings lead to the upper floor where medicine cabinets containing rare medicine are kept. 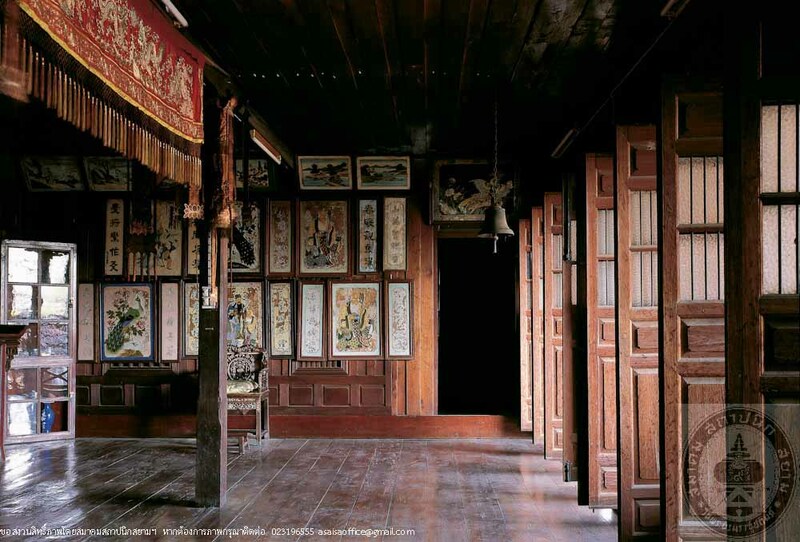 In the middle upper hall to the left is a patient room with beds and behind it a medicine storage containing metal boxes for keeping herbs and medicinal ingredients with descriptions written in both Thai and Chinese. As workers in Hok Sae Tueng gradually gained sufficient knowledge to open their own pharmacy, the trend for modern pharmacy made the old style pharmacy lose its popularity. Consequently, Hok Sae Tueng closed down but the ownerhas still kept the old pharmacy with gentle care, and opens the shop to visitors during Vegetarian Festival and other important occasions. Uthai Thani Province has also recognized the significance of this old building and has promoted it as one of the province’s cultural tourist attractions. Visits can be arranged by contacting the Tourism Association of Uthai Thani.